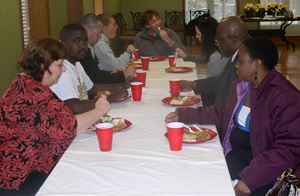 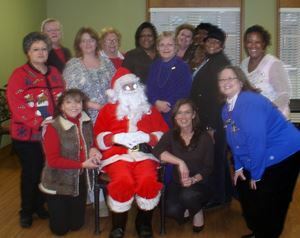 Volunteers of America clients enjoy dinner provided by BPW Monroe-West Monroe members. 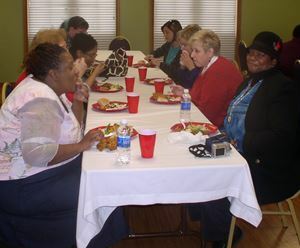 BPW members and VOA clients and staff enjoy the dinner provided by BPW Members. 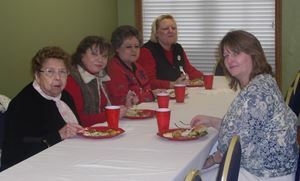 BPW members Lily Fava Mann, Janis Guyton, Rhonda Counselman, and Edna Haden. 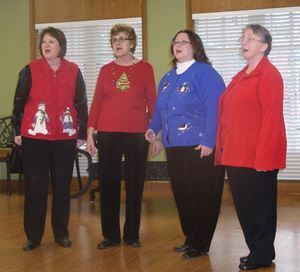 Bayou Breeze Quartet serenades the party attendees with Christmas Music.